Did you know that when we find that something that lights us up, our whole world shifts? When we have that sparkle, it makes everything else sparkle too. Our work life feels a little brighter, our family life feels brighter, we feel brighter and life feels filled with opportunity. And if we pursue the sparkle, we radiate that light and eventually it has the ability to light up others and by lighting up others, we light up the world, one person at a time. Life can get busy and when life gets busy we forget to do the things we love or we forget that what we love is as important if not more important than the day-to-day tasks we get ourselves caught up in. When we lose touch with those things we find that life feels heavy, we get stressed, we feel down and the longer we leave those things that light us up on the side line, the harder it can be to pull them back into our lives. What brings you joy? What do you love to do? What lights you up? Do you have something that reminds you of that? A picture, a talisman, a colour? Find something that represents your sparkle and keep it close or somewhere you can see it as a reminder. When things feel like they’re beginning to get heavy, grab hold of it, look at it, wear it as a reminder so that your sparkle is never too far away. It will make it easier to call it back when you’re ready. 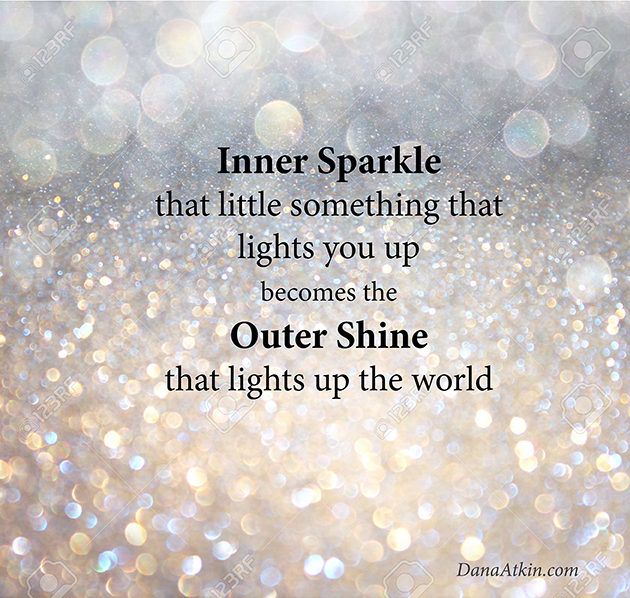 What makes you sparkle?